Thanks to Harlequin I have a super giveaway for you guys, to celebrate the release of The Lost Prince! It’s the first book in Julie Kagawa’s spin-off series, and bloggers are already raving about it! Two (2) winners will each receive a copy of The Lost Prince! It's a tie between Ash and Grim, for two very different reasons, of course! Ooh that's a toss up between Ash and Puck and even Grimalkin! Looove Ash for being the tough, moody hero. Love Puck for being the guy that will make you laugh no matter what's going on! And love Grimalkin (did I spell that right?) because he is such a snarky little cat sith! Love his attitude! Ash, definitely.... but I love Puck too. Puck is my fave! I hope he shows up in Lost Prince! Thanks for the giveaway! Grimalkin <3 coolest cat ever! I love Gremalkin, he's perfect! ^.^ hehe. But I love them ALL. The Iron Fey series is my favorite EVER. Puck is my favorite; he's such a great friend to Meghan. Forget the guys, I love Meghan. She really grows through the course of the series. Ash is definitely my favorite! I haven't read the series yet but I've heard great things about it and I like Meghan and Ash! Thanks for the giveaway! I must confess that I haven't read them yet. They are by my bed know waiting on Christmas break so that I can devour them over a two week period. I cannot wait! Puck! I love not-so-subtle Shakespearean references! Oh no, I haven't read any yet! but they are on my nightstand so they are next! Puck is my absolute favorite! He is just so funny and sarcastic! 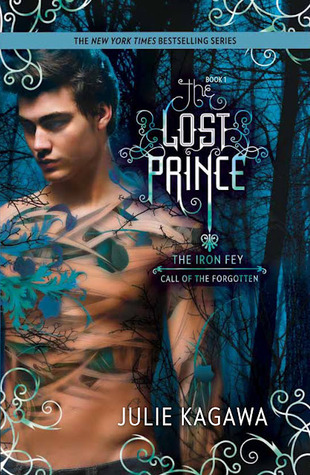 I love the iron fey series Ash is one of my favorites hard to pick just one! Thank you for the great giveaway look forward to reading this book! I haven't read the series yet, so I can't say who my favorite is. I will always be a team Grim girl! Can't wait to see what our favorite cat is up to this time! I will forever be team Ash!!!!! I haven't had the chance to read any of the Iron Fey books yet but I have heard they are amazing so I would love the chance too. Oh Ash for sure!!!! But I guess I might change my mind after reading the Lost Prince, Go Ethan! I love how "I am a cat" can answer so many questions. Tie between Ash and Puck and Grimalkin. I love a guy who can make me laugh so i will have to go with Puck!